What is it like to live in Cancun? Cancun is a great spot to vacation and many tourists are amazed to see that it is actually a city with attractions that make it an ideal place to live. It offers many options both for having fun and for building a life. If you are considering living by the beach, this is an excellent option with endless possibilities for lovers of the sea and adventures. If you like meeting people and getting to know people from different countries, why not take advantage of this and work as a tourist guide and expand your international contacts? 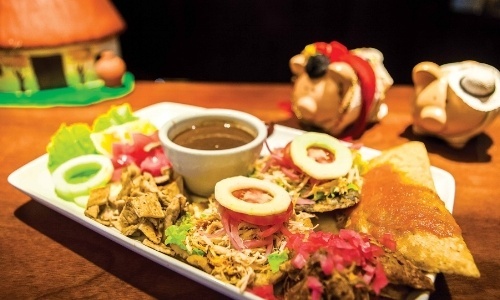 Cancun is a relatively new city that is home to people from many different cultures and this is reflected in its offer of restaurants that serve not only Yucatecan cuisine but also a wide variety of international dishes. For both tourists and residents, there are places for all budgets and tastes. Do locals spend most of their time on the beach? Surprisingly, not. There isn’t always that much time. However, at the weekend, residents of Cancun, a city in constant movement, take time to go and enjoy spectacular places such as Playa Langosta, Chac Mool Beach or Marlin Beach. If you are a night lover, you will not get tired of the nightlife that this beautiful city has to offer, starting with Plaza Forum, which is in the middle of the best nightclubs in Cancun. El Mirador Playa Delfines: an excellent public beach. Include a visit to the El Rey Archaeological Zone, which is about 200 meters away. 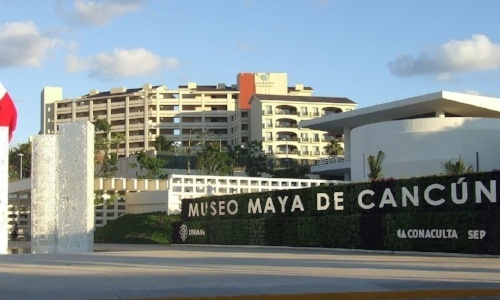 The Mayan Museum of Cancun and the San Miguelito Archaeological Zone, which are right next to each other. The Nichupté Lagoon: have a picnic in its kiosks and outdoor tables. The Cancun Bikeway: so you don’t give up your habit of cycling or rollerblading around the hotel zone. As an extra, enjoy Playa Las Perlas at km. 2.5. Scenic Tower of Cancun: at the jetty, at km 4.2 of the hotel zone you can enjoy a half-hour tour with an impressive view. 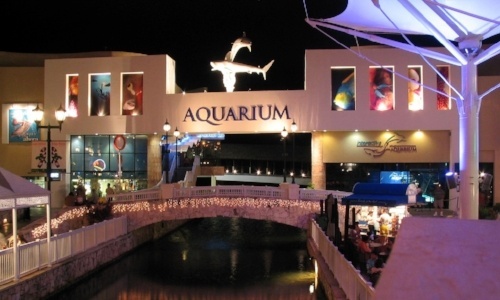 The Interactive Aquarium of Cancun: get to know various marine species and swim with dolphins. Mercado 28 and Plaza Bonita: in the market, you can buy handicrafts and will find excellent, cheap options for eating, while in the plaza you will find organic products. 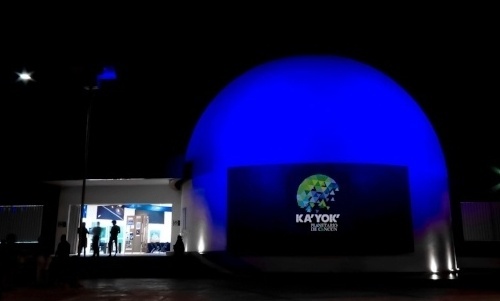 Planetarium of Cancun or Ka Yok: it is one of the most modern planetariums, located near Avenida Cobá. 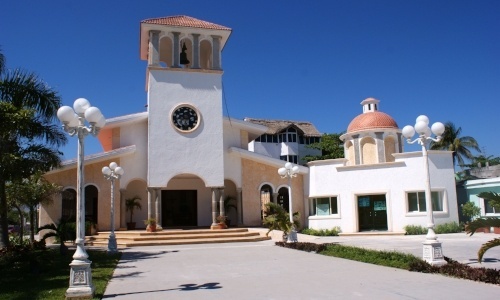 Palapas Park: it is a meeting point for local families. On weekends, there are musical events and many Mexican snacks. 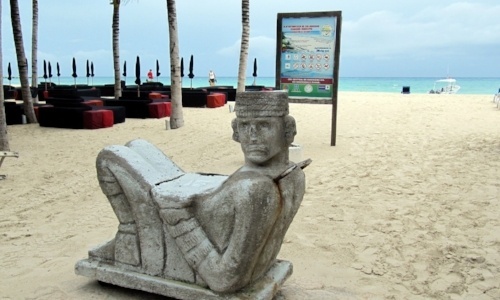 Puerto Morelos: it is a fishing town that has a strong historical culture but is modern at the same time. Cancun also tends to be a starting point to get to other places, which means that you can live in the city and take advantage of the proximity to other attractive spots such as Xcaret, Xel-Há, Playa Mujeres, Tulum, the Riviera Maya, which in addition to their beaches and archaeological areas, also have amazing habitats that allow you to swim with dolphins. 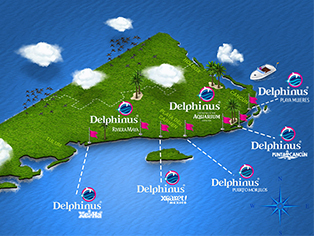 At Delphinus, we hope you start the year with the intention of visiting Cancun and its surroundings to live incredible experiences. We want to warn you: you are going to fall in love with this place so much, that you will start thinking about staying. Book your swim with dolphins and add that perfect complement to your vacation.